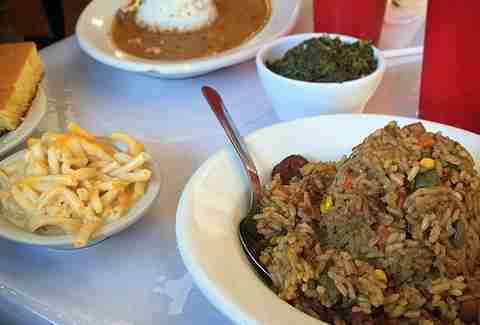 In the Crescent City, Mondays and red beans & rice go together like... well, red beans and rice, actually. The tradition began long ago because Monday was “wash day,” and folks could long-simmer their beans while they did the family’s laundry. 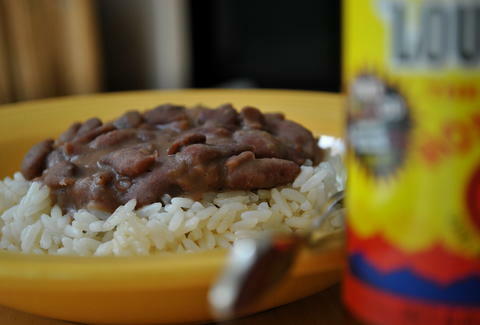 Though modern conveniences have made wash day less of a day-long chore, red beans & rice didn’t suddenly become less delicious, so the tradition persists. 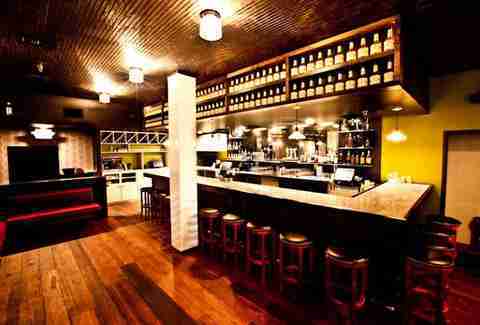 The daily specials at this Magazine St favorite are always a big hit, especially the dynamite lamb shank on Tuesdays. On Mondays, though, it’s obviously all about the red beans with smoked sausage, which are consistently voted a favorite by locals, and so good that they're on the weekly menu and not held hostage by Mondays. 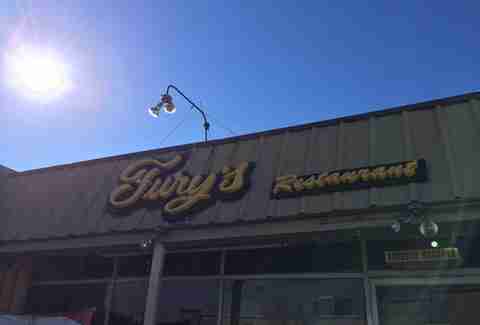 Like many neighborhood restaurants in NOLA, Fury’s is a combo of Italian and Creole that will always leave you stuffed and satisfied. Take, for instance, the admirable red beans, which you can get paired with hot sausage, smoked sausage, a hamburger patty (whaa?! ), a pork chop, or three chicken drumettes. And salad. You know, for health. Everyone knows you’ll find a line around the block at this Downtown institution, waiting, surely, for the “Famous Ferdi Special” po-boy smothered in debris gravy. 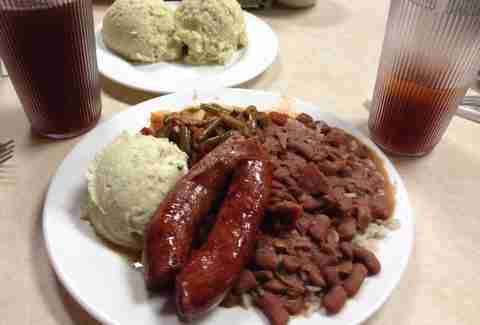 A little under the radar, however, is the fact that you can get truly excellent red beans and rice there, too. They're on the permanent menu, but you get your choice of a meat and two sides to go with it during the Monday special; we recommend the baked ham, turnip greens, and grits. If you’re looking for Southern soul with a NOLA accent, the Praline Connection has it in spades, from the hog’s head cheese with garlic toast to the fried okra, candied yams, and fried chicken livers. The “and rice” options are not to be overlooked, including white beans and rice, lima beans and rice, crowder peas and rice, and, naturally, a spot-on red beans and rice. A breakfast and lunch spot well known for its burgers and po-boys (especially the award-winning “Ray Ray,” a killer combo of fried chicken with grilled ham and melted Swiss), you’d be remiss if you didn’t feed your red-bean jones there on a Monday, especially when paired with the restaurant’s signature house-made hot sausage patties. Our favorite place to grab a Bloody Mary on the way to Jazz Fest is also one of our favorite places for the Monday tradition, which Liuzza’s serves with your choice of smoked sausage, hot sausage, grilled chicken, or paneed chicken. Go with the hot sausage, then get a BBQ shrimp po-boy for, you know, good measure. 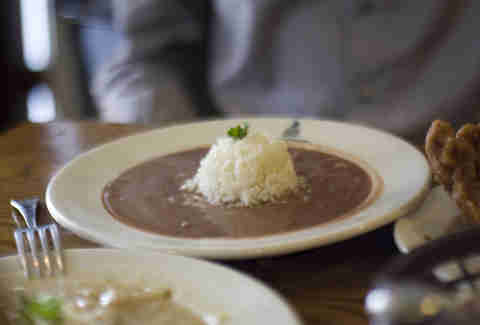 What can possibly make a quintessential dish like red beans and rice even better? You guessed it: batter and deep-fry that sumbitch and serve with green onion aioli and a reduced hot sauce. Capdeville’s version of red beans is an inventive, modern take on Italian arancini, which, when you think about it, makes perfect sense here. It also makes perfect sense in your belly. And for five bones, you can’t go wrong. No family-oriented neighborhood restaurant in Lakeview would be complete without two things: fried seafood and red beans on Monday. 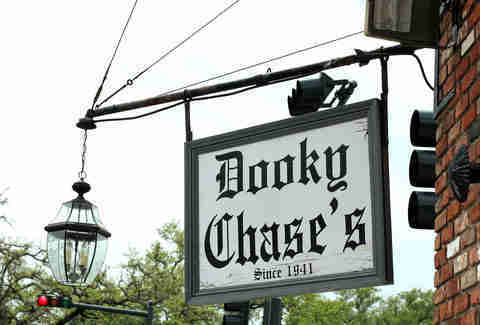 This spot's version is normally paired with smoked sausage, per tradition, though you have the option of substituting hot sausage, a chicken breast, or our favorite, a ham shank. Mmmm... shank. Yes, yes, we are well aware that Willie Mae Seaton created what many regard as the very best fried chicken in New Orleans history, and possibly in the world. Her eponymous restaurant also has some of the best red beans in town, to boot, which of course are a perfect complement to the golden-fried chicken deliciousness, or -- if you’re not going the chicken route -- an absolutely wonderful fried pork chop. Soul food in NOLA doesn’t get much better than at the hands of treasured chef Leah Chase and her family, who naturally treat their red beans with the respect they deserve. 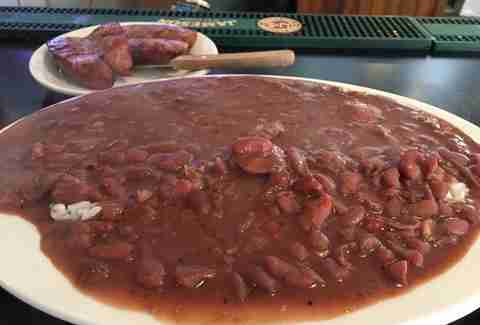 Oddly (well, not so much for New Orleans), the restaurant is closed on Mondays, but you can readily find red beans on the menu at the lunch buffet, but be mindful that on Fridays it’s shrimp and limas instead of red beans. Scott Gold is a New Orleans writer who thinks washing should be done on red beans and rice day, not the other way around. Follow him on Twitter at @ScottGold.